Paolo Vasques: When I Think Of My Job, I Think Of My 360° Degree True Passion For HR! Can you tell us a bit more about yourself and your professional journey? Initially I took a degree in Political Science at the Law school in Palermo and attended a course in International Law at the Polytechnic in London, followed by an MBA in Business Management in Rome and I’m also fluent in English, French and German. After finalizing my studies, I was hired by Fiat Auto (now FCA) in the HR department in their Headquarters in Turin and from there I followed a strategic project about new manufacturing plants in South of Italy. After that, I also worked for about 10 years as HR for FCA, also abroad in different countries (Greece, Denmark, Netherlands and Switzerland). Then I became the HR Director in Cement Group for 7 years and at a later time I was employed by a multinational Group based in the Zurich area called Cham Paper Group. It was a Company producing special quality papers and after that I was hired by ALCOA, an aluminum giant Producer listed in NYSE, as the HR Director for Italy. From September 2010 I’ve been working for Benetton Group since. The past 7 years have been an amazing and challenging experience which I am proud of. I can say I have been on an HR mission for almost 30 years so far. At the moment, I am looking after the worldwide Industrial Relations of the Benetton Group as well as being in charge of General Services, I am also taking care of our employees’ health care plans and work life balance as well as many other HR projects. You mentioned that you worked for Fiat Auto (now FCA) which is Automotive, then for Cement, Paper and Aluminum Industries and now Textile and Commerce Retail. So how would you compare all of them in terms of HR management? From what I have learned so far, every business is different and even if you have built a great experience, you have to keep in mind that each time it has to be treated differently. Every Company has its own culture, personal history and people have different backgrounds. It’s up to you and your skill to understand the environment, listen to it, join all forces within the Company, trying all best to put a strong effort to reach all aims and lead employees to be fully engaged in the final results. You have mentioned that the culture of respecting people in your company is really good, that you feel like a part of a great project. So how does a Group get to this level, what are the tricks? People Strategy is an important pillar within Benetton Group and in collaboration with the Unions (with whom we always had a very good relationship) we conceived an innovative agreement, introducing a series of initiatives of People Care particularly related to supplementary health care, corporate welfare and work life balance like Stretch Work. An on-line platform where all our people can log in and can easily get all information about their welfare and health, they can make bookings for their own medical examinations as well as for their families, get many discounts on commercial activities, language courses and leisure travels at special prices and lots more. We have also developed a special initiative called: Welcome Back Mom, a project to help out working mothers to return back to work after their maternity leave. It allows Moms to start working back “softly”, without being stressed out or worried about balancing the new family member with their return to work. It has been recognized as one of the best plans in Italy to introduce mothers back to work and we are very proud to receive an award for this! Yes, that is right, we aim to build trust with people. Last year in the HQ we introduced an initiative called Stretch work, which allows employees to arrive at work at different times in the morning without any special permission and it’s up to them to regulate their 8 daily-working hours in accordance with their own Supervisor. It’s a matter of trust, for us it is a great value. In a context in which smart working is becoming one of the most innovative tool to manage work relationships, Benetton Group has been the first textile company in Italy to introduce it. We implemented a huge program of Smart Working, so workers can stay home one day per week working from there or wherever they like. This is also very important, because even new employees joining our company ask for this benefit, and we are happy to offer this flexibility. Furthermore with the Unions we share a joint commission, where we cooperate on these projects, we have very honest relations respecting our different roles. What are some of the projects that you have worked on in terms of HR that you are most proud of? Our aim is to strengthen the relationship between our Headquarters and the Benetton branches outside of Italy. It’s a huge organizational program, we are trying to be closer to the different countries in particular with those more distant from the HQ, such as India, Korea, Mexico etc. then we are also working in trying to spread People Care program within the Company. There are more than 8.000 people employed in the Group, around 3.000 of them in Italy between industrial and retail. When I think of my job, I think of my 360° degree true passion for HR, if it wasn’t, it would be a real nightmare to me. Every day is different, because our company is quite complex: it can go from a conference call with the Korean Benetton team or organize a safety program, or meeting with the Unions in India or creating a new travel policy etc. I also travel a lot trying to get in touch as much as possible with my colleagues anywhere around the world. You have a long career in HR. For people starting up what would be your number one advice to building a successful career? To be keen and passionate with your own job. Take care of your employees and respect everybody, this is what I have learnt. Furthermore you have to be always curious and trying to look for best solutions and never taking anything for granted. You have to be flexible because the world and jobs change very quickly, it is sometimes difficult to keep up with everything because there are lots of commitments, but passion and respect are always in my first place. 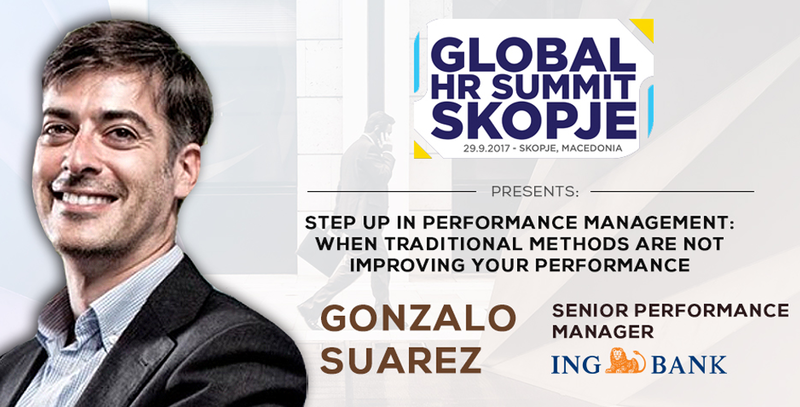 You are presenting at the summit in Zagreb, what are your expectations from the destination? I have never been to Zagreb, but I have been visiting other parts of Croatia, which I liked very much. I am sure Zagreb will be a great experience for me. I am very much looking forward to it. 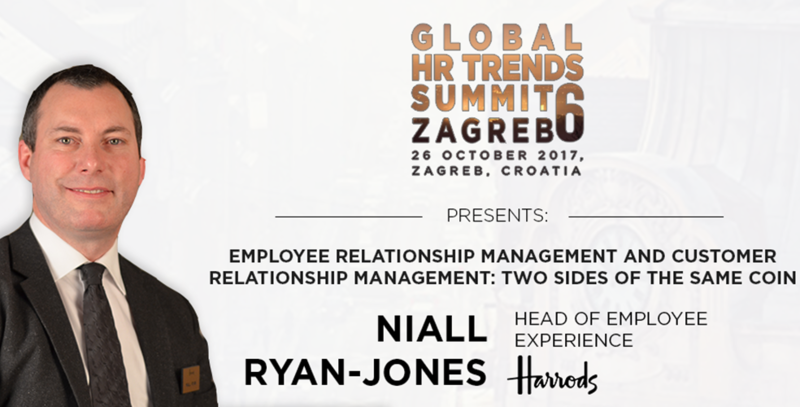 To learn more from Paolo and Emotional Wellbeing In The Workplace join us at the Global HR Trends Summit 6 in Zagreb, Croatia. 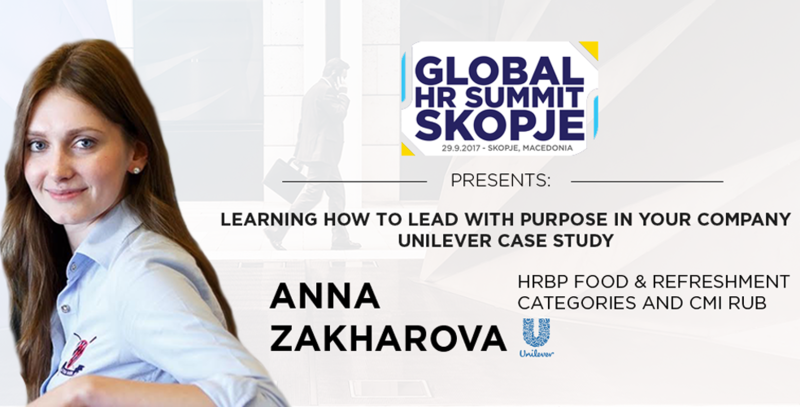 Anna Zakharova: Learning How To Lead With Purpose In Your Company!